Luis Lara-Valdez was arrested on a felony warrant for Aggravated Assault with a deadly weapon. 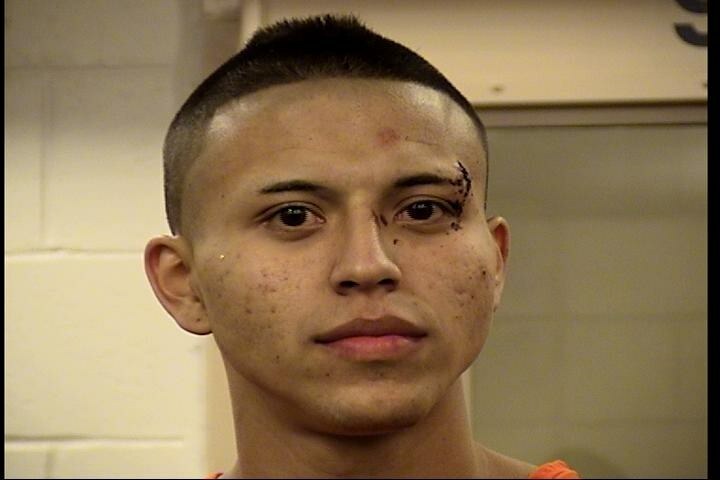 Luis Lara-Valdez, 20, who is known to be armed and violent was arrested on a felony warrant at his girlfriends fathers home in northwest Albuquerque. Today at about 1:30 p.m., Northwest Area Command Impact detectives attempted to serve a felony arrest warrant for Luis Lara-Valdez in the 7100 block of Paese Pl NW. Detectives confronted Lara-Valdez as he exited his girlfriend’s fathers’ home and gave him verbal orders to which he responded to them “No” and quickly went back into the home. Detectives setup a perimeter and began giving Public Announcements for him to exit the residence. Detectives had no response from Lara-Valdez and determined he was barricading himself inside the northwest home due to his lack of response to detectives. The called was deemed a SWAT call out due to Lara-Valdez actions. The Crisis Negotiation Team responded and was successful in speaking with Lara-Valdez on the phone. Eventually Lara-Valdez agreed to exit the residence and was taken into custody. Lara-Valdez was wanted for Aggravated Assault with a deadly weapon against the girlfriends father, where Lara-Valdez pointed a gun at him and threatened to kill him. The Albuquerque Police SWAT, CNT and Field Services units did an outstanding job at getting a violent offender into custody while keeping the neighborhood safe. The area was reopened soon after Lara-Valdez was taken into custody. We want to thank the residents in the area for their patience and understanding while detectives and officers completed their work to take a violent offender into custody.